Our vision for the transformation isn’t simply an isolated intervention at the Lower Level. Rather, it extends beyond the substructure and abandoned rail lines of the Bridge to encompass the entire landscape, surrounding neighborhoods and River Basin below. 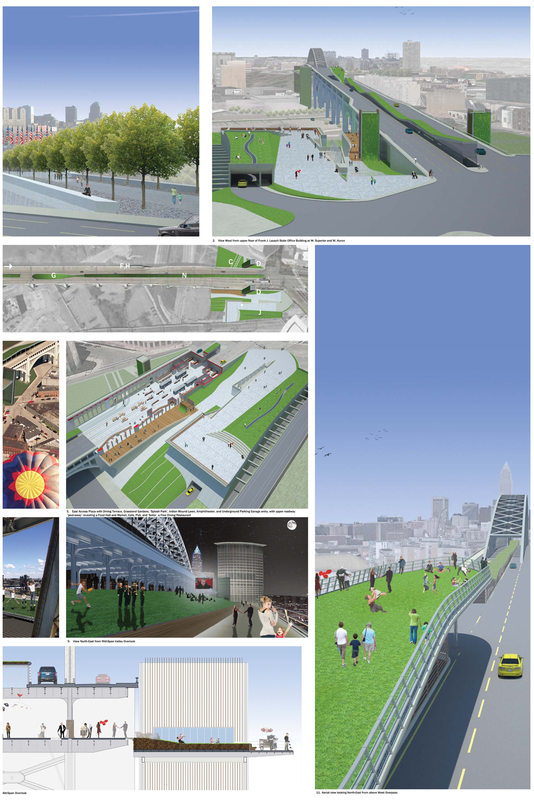 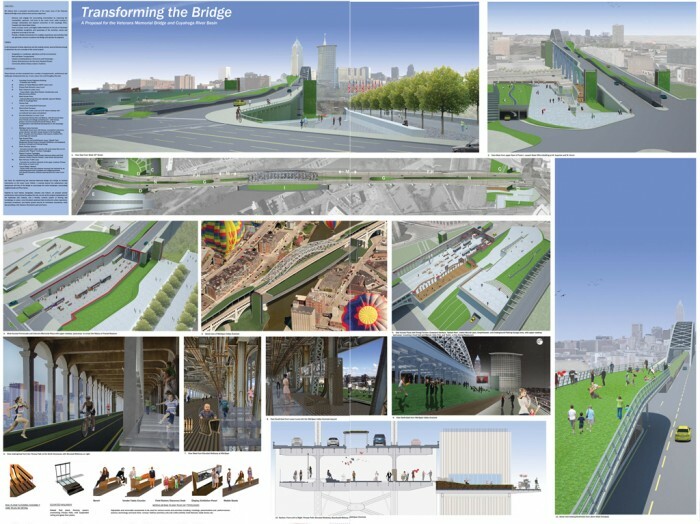 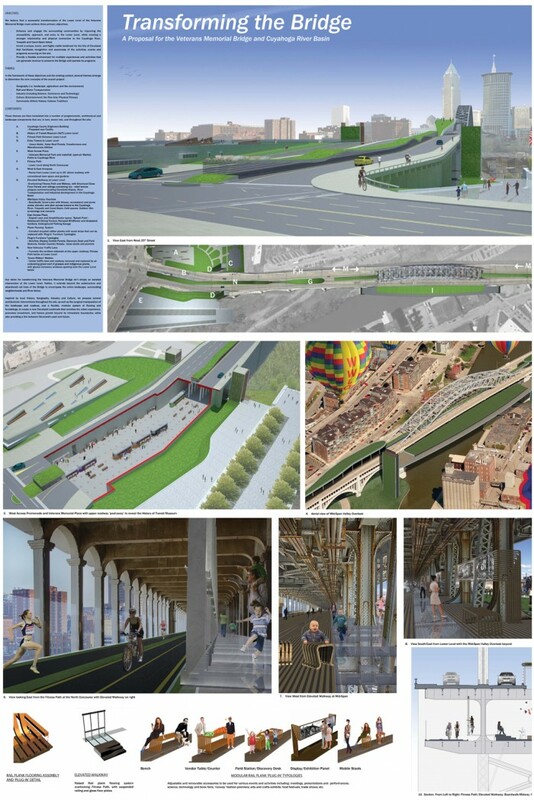 Inspired by local History, Geography, Industry and Culture, we propose several architectonic interventions throughout the site, as well as the surgical manipulation of the landscape and roadway, along with a flexible, modular system of flooring and furnishings, to create a new Cleveland Landmark that enriches the urban experience, promotes investment, and fosters growth beyond its immediate boundaries, while also providing a link between Cleveland’s past and future.